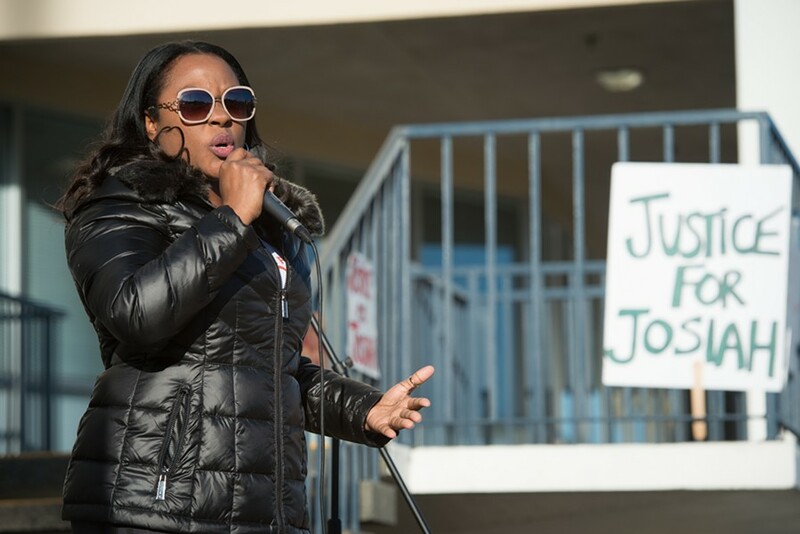 Charmaine Lawson calls on the community to continue to demand justice for her son. 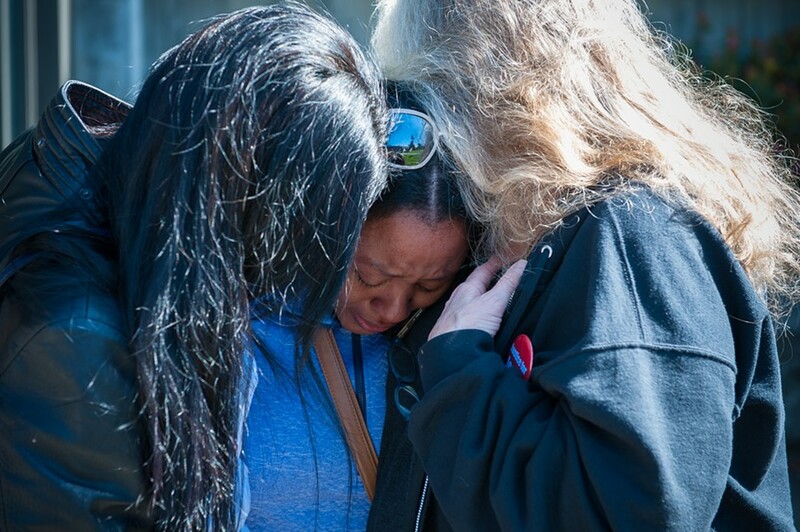 Charmaine Lawson, the mother of slain Humboldt State University sophomore David Josiah Lawson, issued a statement yesterday criticizing the Arcata Police Department's handling of the homicide investigation, calling it "beyond negligent." The statement came in response to an APD press release issued Wednesday that announced the creation of a 24-hour tip line in the case and asked for the public's help identifying potential witnesses in five surveillance photos taken near the scene of Lawson's April 15, 2017, stabbing death. “I ... was disheartened and outraged at the press release issued yesterday from the Arcata Police Department (APD),” she said. “For the first time after almost two years of allegedly investigating the murder of my first born son, APD set up a 24-hour tip line and released images of potential witnesses. Why weren’t these actions taken two years ago?" 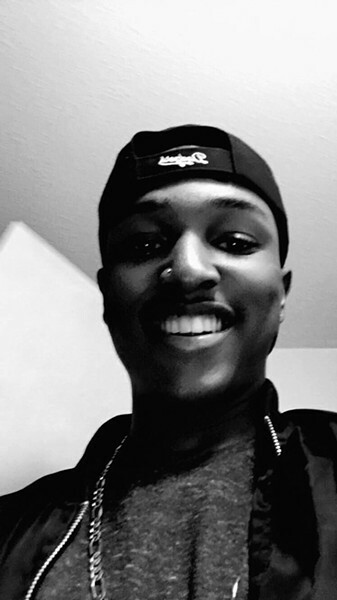 Josiah Lawson, 19, was fatally stabbed after multiple fights broke out at an off-campus party where Lawson and friends were celebrating a birthday. A McKinleyville man, Kyle Zoellner, was arrested at the scene and charged with Lawson's murder but a Humboldt County Superior Court judge dismissed the charges against him a few weeks later, saying prosecutors had insufficient evidence to hold him to stand trial. APD continued investigating the case and again turned it over to the Humboldt County District Attorney's Office in November, with then interim Police Chief Rick Ehle saying detectives had found "unequivocal physical evidence" linking a specific suspect to Lawson's death, but on March 13 prosecutors announced that a criminal grand jury had decided not to indict "any persons" in the case, which has now been sent back to APD for further investigation. 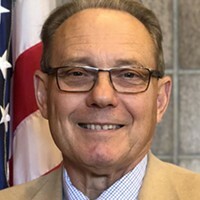 Current APD Chief Brian Ahearn, hired by the city in November after almost 30 years with the San Diego Police Department, told the Journal on Wednesday that the release of the photos and the creation of a tip line are part of a renewed effort from the department to get witnesses in the case to come forward. There were more than 100 people at the party that night, Ahearn said, and despite repeated pleas for witnesses to come forward, APD still has not spoken to all of them. Moving forward, Ahearn said the department plans to release additional photos and video taken near the scene around the time of Lawson's death and launch a campaign of public service announcements throughout the state urging witnesses to speak with investigators. "We want to make sure none of us ever forget DJ and we need people to come forward," he said. "It's an important part of our strategy to bring people back in time to that tragic night and ask for their help in understanding with precision and detail exactly what took place. ... We want to exhaust the entire list of who was there. We need to find them and we need the public's help to find them. Even if they think they didn't see anything relevant to the case, we want them to share what they know because we think it will help lead to information that will conclude this investigation." "We need your help," Ahearn continued, speaking directly to potential witnesses. "Please come forward. We are not going to rest until this investigation is concluded but we need the public's help to get to that point." In her statement released yesterday, Charmaine Lawson also said she has been told by multiple Arcata officials that DNA evidence links the knife used to stab her son to Zoellner and expressed frustration as to why that has not been enough to move the case forward. "I was told by the three chiefs of police from APD and a city official that Kyle Zoellner’s DNA is on the knife that was used to murder my son," she said. "It is time that Humboldt County residents call out and address the Arcata city officials and Humboldt County DA Maggie Fleming regarding DNA evidence appearing on the knife that was used to murder a young college student." Charmaine Lawson is hugged by supporters shortly before addressing students, faculty and the community on the HSU Quad on the 23-month anniversary of the killing of her son, David Josiah Lawson. Fleming was not immediately available to respond to Lawson's statement but told the Journal back in January that the analysis of DNA found on the knife is "critical to the case" and said she'd reached out to the California Department of Justice for more information about its interpretation of the evidence. Marc Taylor, the president and lab director at Technical Associates Inc. and a renowned DNA expert, told the Journal DNA analysis is an incredible tool to link a single-source sample to a specific person. "It's great, it's wonderful science, as long as you get single source samples," he said. "If there's a blood stain at a crime scene and you want to find out whose blood it is, that's great. But when you have mixtures, you have to be extremely careful in interpreting." Taylor said analysts have gotten to the point where they can use a deconvolution analysis to identify up to three different contributors to a single DNA sample but he said there are a lot of factors that make drawing conclusions from such testing very challenging. "Sorting out what these things mean is extraordinarily difficult," he said. While officials have made vague comments about the DNA testing on the knife, the analysis has not been made public, so it's unclear exactly what the testing results were. That criminal grand jury report indicated that jurors heard testimony from two DNA analysts but transcripts from the proceedings remain under seal by law because the grand jury did not hand up indictments. In yesterday's statement, Lawson further urged Fleming to turn the case over to the Department of Justice. For his part, Ahearn said APD is committed to solving this case and will work diligently to that end. Asked to respond to Lawson's comments, Ahearn sent a brief statement to the Journal. "The Arcata Police Department is continuing the investigation of the murder of David Josiah Lawson," he said. "Images of people who were in close proximity in both time and place to where DJ was stabbed were released to the public with the goal of developing information that could assist investigators with identifying and locating additional potential witnesses. We stand in solidarity with Charmaine and the Lawson family as they grieve the tragic death of their loved one, David Josiah Lawson." Lawson also offered condolences to the family of Brandon Brocious, a teenager fatally stabbed in Eureka on Aug. 9, after the mother of the boy accused of murdering him was released from jail following a judge's determination that there wasn't enough evidence to hold her to stand trial. As a Mother who raised two ambitious, amazing, brilliant, outstanding, young Black men (that both went to college), I am deeply disturbed by the recent actions of the APD. When I viewed the blurry images from the press release, all I saw was Black and Brown young people leaving the scene. Why didn’t the officers on the scene that night obtain their names, contact information and statements at the time of the murder? Why - after two years - is the APD just now trying to identify people in attendance at the birthday party? This is beyond negligent. evidence brought her murderer to justice about 3 weeks ago. “To be a man is to be responsible, is to feel shame at the sight of unmerited misery” - David Josiah Lawson, my beloved DJ. Editor's note: Thadeus Greenson contributed to this report.